High Court judge Gino Persaud yesterday dismissed the challenge mounted by Guyana Elections Commission (GECOM) Commissioner Bibi Shadick over what she said was the creation of new Local Government Areas by Communities Minister Ronald Bulkan and the demarcation of electoral boundaries by Chief Election Officer (CEO) Keith Lowenfield. 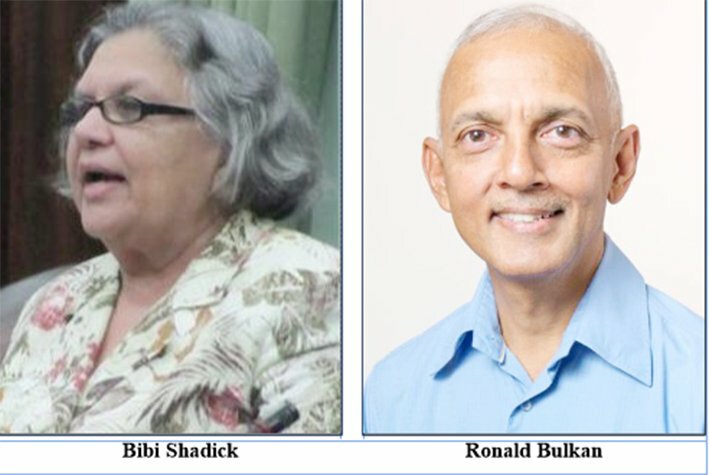 Justice Persaud, in a brief delivery of his ruling yesterday afternoon, said that contrary to Shadick’s claim, he found also that Communities Minister Ronald Bulkan issued an order in accordance with the Local Democratic Organs Act, by which he identified the name, boundaries, and number of members, of each of the Neighbourhood Democra-tic Councils (NDCs) complained of by Shadick in her application. As a result, he denied Shadick’s application for orders quashing the minister’s decision ordering the holding of elections. The polls are set for Monday. The seven LGAs which Shadick had contended were new are Moruka/ Phoenix Park; Kitty/ Providence; Nile/Cozier; Lamaha/Yarowkabra; Hauraruni/Yarowkabra; Plegt Anker/Kortberaad; and Wyburg/Caracas. The judge said that those disputed areas were created since 1990—the same time the framework for local governance was birthed and therefore could not be regarded as having been newly created, but rather, as was the state’s contention, they have now become activated. He said that not only were they established in 1990 but so were their boundaries, adding that they continue to stand unless amendments are made. The judge also said Shadick had presented no evidence to substantiate her claims that the CEO had demarcated boundaries. Attorney General Basil Williams SC, who represented Bulkan, and attorney Roysdale Forde, who represented Lowenfield, had argued that those areas have now been activated since Monday coming would be the first time they are ever a part of the elections. Contrary to Shadick’s contention, through her attorney Anil Nandlall, the court said it also found that since the local areas were already made and their boundaries identified, there is no need for the minister to publish this at every successive election. Having found in accordance with law that both the LGAs and their boundaries had been established since 1990, Justice Persaud also denied Shadick’s application in which she was seeking an order quashing what she said was Lowenfield’s decision fixing boundaries. The judge in his ruling said that while Nandlall had asserted in his arguments that the CEO had re-demarcated constituency boundaries in 14 other local government areas, he failed to so prove. Those areas which Shadick claimed Lowenfield restructured were Rose Hall; Evergreen/Paradise; Aberdeen/Zorg-en-Vlygt; Malgre Tout/Meerzorgen; La Grange/Nismes; Toevlugt/ Patentia; Caledonia/Good Success; Woodlands/Farm; Mahaicony/Abary; Zeelust/Rosignol; Blairmont/Gelderland; Ordnance Fortlands/No. 38; Adventure/Bush Lot; and No. 52 – 74. Dismissing Shadick’s case, the judge awarded court costs to Bulkan and Lowenfield in the sum of $150,000 each, which she has to bear. Justice Persaud has said that his full written judgment with reasons will be made available at a later date. Nandlall had argued that if the elections were allowed to proceed, given the activation of the new LGAs and restructuring of 14 others collectively by Bulkan and Lowenfield, then it would not only be unlawful but it would render all voting in those LGAs at the upcoming polls void. Nandlall’s contention was that the boundaries were not fixed by the minister himself, which was a violation of sections 4, 5 & 12 of the Local Democratic Organs Act. But both Williams and Forde argued that those sections have nothing to with the holding of elections. The lawyers argued that Nandlall had produced no evidence to substantiate that it was the CEO who fixed the boundaries and thus the applicant failed to substantiate the basis of her claim. Nandlall’s position had been that while the minister did the demarcation in relation to seven of what he said were new NDCs, he did not do so in the case of two. According to him, electoral boundaries had been set by the CEO, a function which he said is to be executed only by the minister. 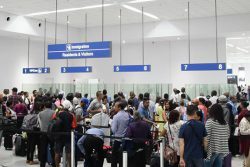 Pressed by the state attorneys to substantiate this contention, Nandlall said that what was on record was that the boundaries were not fixed by the minister himself. But Williams had taken Nandlall to task to produce the law which stated that it is the minister who, at every successive local government election, was required to fix the boundaries. On this point, Nandlall had advanced that it was the same statutory procedure for every election, while pointing out that the minister had made demarcations in 2015 ahead of elections in 2016 and that it was also followed in 1994—the last time local government elections had been held before again being held in 2016. His opponents, however, had argued that while this might have been so, the minister is not bound by the practice as it has no connection to elections and so the applicant has still failed to show that the minister has to set boundaries for every election. They said too that the LGAs and boundaries are not newly created but are merely now activated. In her application, Shadick was seeking from the court orders quashing decisions made by both Bulkan and Lowenfield and for them to be ordered to rectify their claimed violations. He had said that while statute prescribes certain responsibilities for both the minister and CEO to discharge in relation to local government elections, Bulkan failed/omitted to follow procedures stipulated for the creation of new NDCs, and the creation of new seats in existing LGAs as well as seats in the new NDCs in the manner that the law prescribes.